I often harp about the importance of clarifying hair once a month BUT I never really have touched on the importance of chelating hair as well. What’s chelate you ask? Allow me to inform you! First, for those that don’t already know, let me explain the art of clarifying hair. Once a month! Clarifying treatments should always always ALWAYS be followed by a deep conditioner. When you clarify hair, you strip it of all remnant products AND moisture. 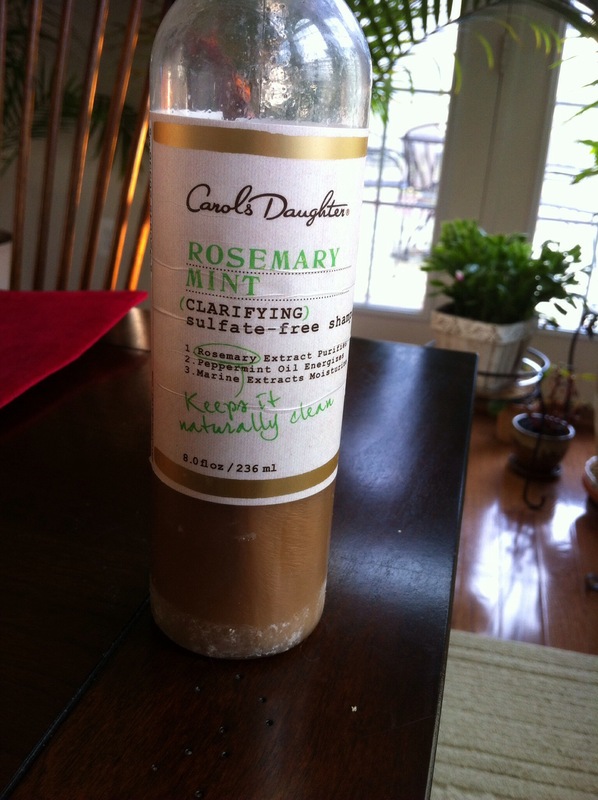 I have a specific category on my blog that features clarifying products! Check it out! If you’re a regular swimmer or have a hard water issue in your area, chelating can be done once every month. If you don’t fit into either of these categories, however, chelating can be done once every 6 weeks or so. If you didn’t know about the art of clarifying and chelating before, now you do! Now, get to it and clean that hair/scalp alll of it! Yes, just…YES! If you’re a regular follower of my blog, then you know that the importance of clarifying your hair and scalp is something that I often “preach” about. Guess what? I’m doing it again! 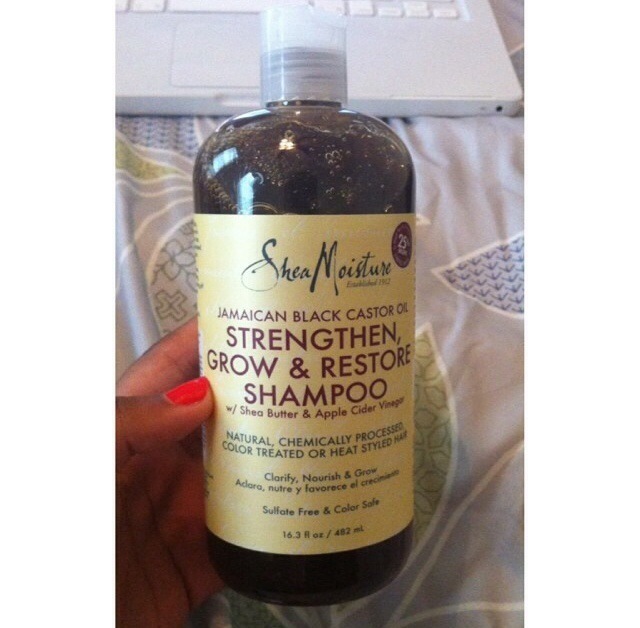 Clarifying your hair cleanses and detoxifies your hair of alll the product that you put on it throughout the month. This is SUPER important because all of that product weighs down, not only on your hair, but on your scalp too. Your scalp starts to get itchy and harbor all this buildup. That’s one of the signs that it’s time to cleanse/clarify your hair! That’s when you can reach for this shampoo! All of the ingredients in this product, and the consistency, ensure that your hair and scalp are SUPER cleansed, detoxified, and ready for some more product haha. Seriously, this isn’t a shampoo that you can use everyday but it IS a shampoo that you should use at least once a month when it’s clarifying time. AND, per usual, this product contains No Sulfates, No Parabens, No Phthalates, No Paraffin, No Gluten, No Propylene Glycol, No Mineral Oil, No Synthetic Fragrance, No PABA, No Synthetic Color, No DEA, No Animal Testing! Win! For all you “visual learners” this YouTube vlog does a great job of reviewing this product. I purchased this shampoo at Walgreens for $11 for 13 oz. Similar to any other shampoo, wet hair, massage into scalp and hair–lather up and rinse! Before I delve into this product review, I think it is important to explain the importance of a good clarifying shampoo. Clarifying shampoos are meant to be used biweekly or once a month. This type of shampoo is perfect for naturalistas and product junkies because it rids the hair of all the styling products that are piled onto the hair throughout the month. This is important because an unclean scalp can lead to scalp infections and hair loss as well as decreased hair growth! Here is a great article that explains the importance of clarifying shampoo and how often to clarify. Typically clarifying shampoos contain harsh sulfates that aid in stripping the hair of its natural oils along with all the products that have built up on the hair and scalp throughout the month. But this product I use is actually sulfate free and still does a GREAT job of lifting all that residue and build up that my hair accumulates from styling products. Water (Aqua), Cocamidopropyl Hydroxysultaine, Sodium Methyl 2-Sulfolaurate, Sodium Cocoyl Isethionate, Glycerin, Cetearyl Alcohol, Acrylates/ Aminoacrylates/C10-30 Alkyl PEG-20 Itaconate Copolymer, Disodium 2-Sulfolaurate, Butyrospermum Parkii (Shea Butter), Cocos Nucifera (Coconut) Oil, Olea Europaea (Olive) Fruit Oil, Simmondsia Chinensis (Jojoba) Seed Oil, Helianthus Annuus (Sunflower) Seed Oil, Aloe Barbadensis Leaf Juice, Rosmarinus Officinalis (Rosemary) Leaf Extract, Rosmarinus Officinalis (Rosemary) Leaf Oil, Mentha Piperita (Peppermint) Oil, Menthol, Chondrus Crispus (Carrageenan), Algae Extract, Macrocystis Pyrifeara (Kelp) Extract, Spirulina Maxima Extract, Salvia Officinalis (Sage) Leaf Extract, Calendula Officinalis Flower Extract, Rosa Canina Flower Extract, Lavandula Angustifolia (Lavender) Flower Extract, Melilotus Officinalis (Sweet Clover) Extract, Urtica Dioica (Nettle) Leaf Extract, Hydrolyzed Soy Protein, Cetrimonium Chloride, Xanthan Gum, Disodium EDTA, Propylene Glycol, Polysorbate 20, PEG-150 Distearate, PEG-200 Hydrogenated Glyceryl Palmate, PEG-7 Glyceryl Cocoate, Sodium Polystyrene Sulfonate, Caramel, Pentaerythrityl Tetra-di-t-butyl Hydroxyhydrocinnamate, Methylchloroisothiazolinone, Methylisothiazolinone, Fragrance. This product contains no sulfates, no parabens, no petroleum, no mineral oil and no artificial colors! The rosemary extract purifies, the peppermint oil energizes and the marine extracts moisturize. At least that’s what the label says and I, for one, really believe this haha. It also has a great scent due to the rosemary and gives a nice tingling sensation on the scalp due to the mint and peppermint oil. When you apply this shampoo, you want to make sure you let it sit on your hair for about two or three minutes so it can really cleanse. Take this time to shave your legs or exfoliate your body! As soon as you are done, begin to really massage your scalp and the length of your hair. Soon you’ll feel a lack of moisture and yes, your hair will feel dry but this is what clarifying shampoos are for. They remove build up! Keep calm, this is a good thing. There is an accompanying conditioner to this shampoo but I have yet to use it. 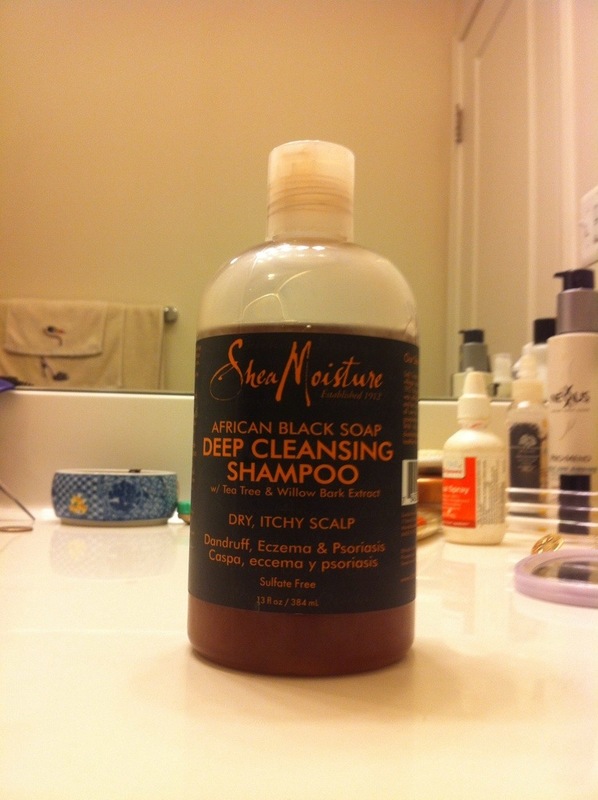 Instead, I generally follow with the SheaMoisture African Black Soap Balancing Conditioner because it provides moisture but also works at cleansing the scalp and hair. A great combo!